With a new anchor at the helm the “CBS Evening News” unveiled a new logotype, graphics package and, despite not overhauling its studio, with new ways to shoot in the space. The broadcast, which continues to originate from Studio 57 in the CBS Broadcast Center from the set originally designed for “CBS This Morning,” is now anchored by Jeff Glor, following Anthony Mason’s interim stint after Scott Pelley was removed from the broadcast in June. 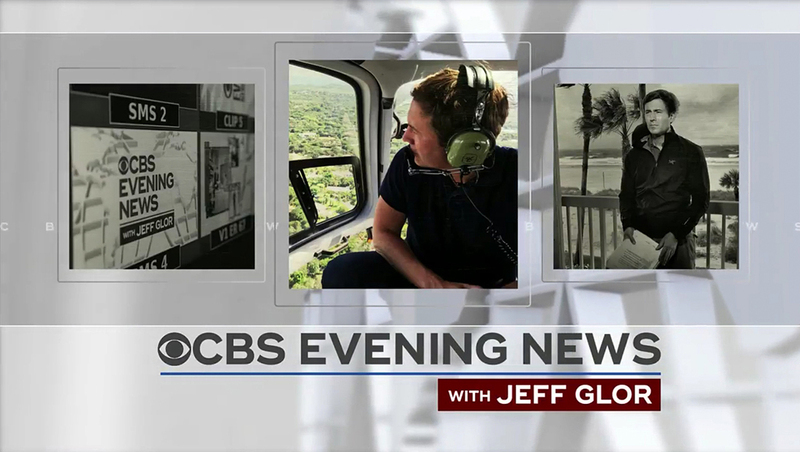 The crux of the new look centers around a new logotype and updated typography, with the font Ridley Grotesk as the “CBS Evening News” graphics package base. The logo, which previously used a condensed typeface and stacked look, now appears in a wide, single line layout in the open, though a stacked version is used on social media and other cases.